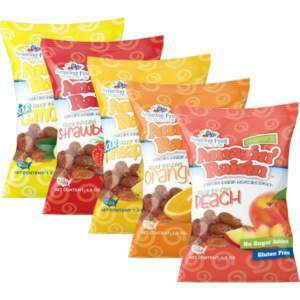 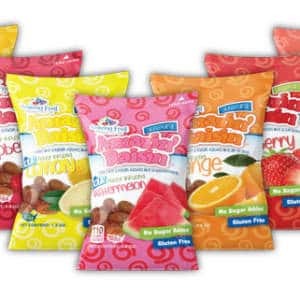 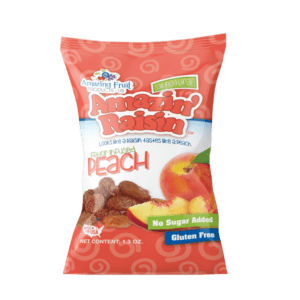 Amazin’ Raisin Peach Flavor-Infused Raisins are a yummy treat that tastes just like a real, wholesome Peach! 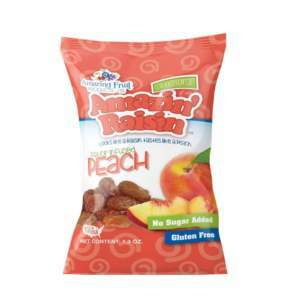 They’re Peachy Keen! 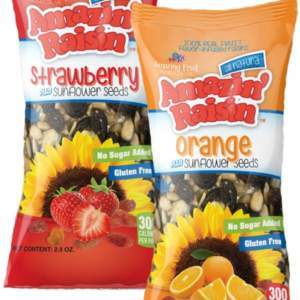 As always, Amazin’ Raisins are All Natural, No Sugar Added, Vegan, Gluten Free, Peanut and Tree Nut Free, Certified Kosher, and 100% Made in the USA. Looks Like A Raisin, Tastes Like A… Peach!